I have a soft spot for the subject of this latest entry in Savas Beatie’s Atlas series. Long before I decided to focus my energies on First Bull Run I attempted to tackle the period in the history of the Army of the Potomac between the end of the Gettysburg Campaign and the arrival of U. S. Grant in the spring of 1864. I wrote a bit about that aborted project here. The whole series of events has received short shrift from most historians, and usually gets covered in a few pages (or even paragraphs) when it gets covered at all. 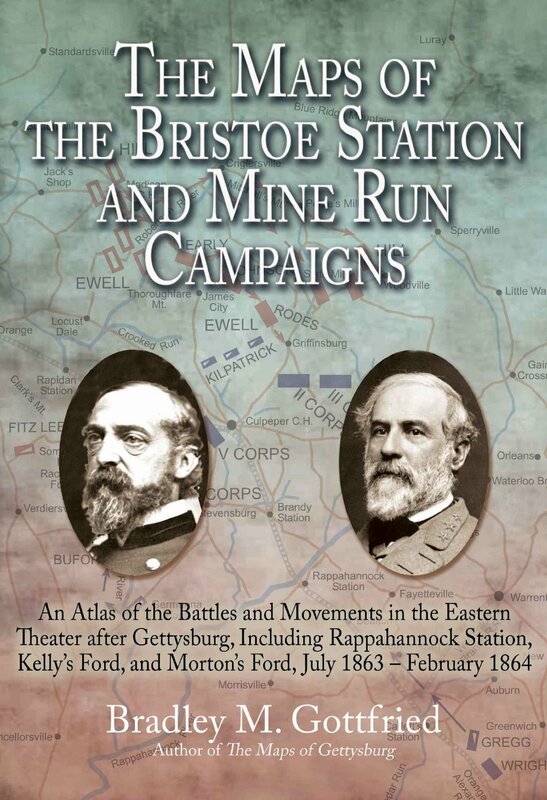 Brad Gottfried helps shed some more light on this time with The Maps of the Bristoe Station and Mine Run Campaigns. The subtitle gives a little more detail on the details: An Atlas of the Battles and Movements in the Eastern Theater after Gettysburg, Including Rappahannock Station, Kelly’s Ford, and Morton’s Ford, July 1863-February 1864. You’re familiar with the format by now: individual time-coded maps (87 of ’em) with their own facing narrative page. 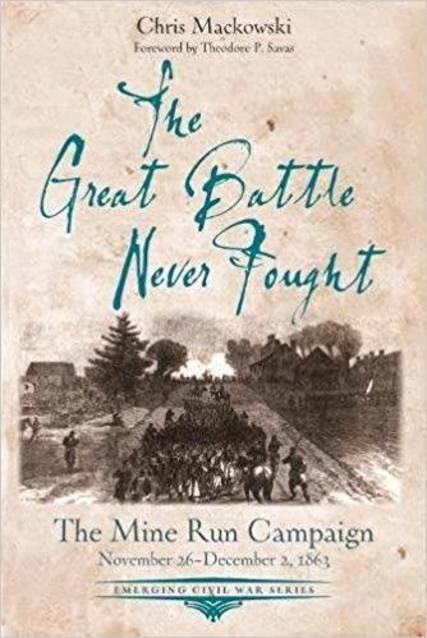 This really is a must-have, not just to keep your set intact, but to give some much needed perspective to this black hole in the history of the campaigns of the Army of the Potomac and the Army of Northern Virginia.